Thai-ness is reflected by its history, culture, believe and way of life. This program presents not only the touristic highlights of Thailand along the route from Bangkok to Northern Thailand but also brings you closer to the essence of Thai-ness which is a blend of several tribes along the cultural trails from the old Siam to Lanna Kingdom which covered most Northern Thailand as well as the neighboring parts of Myanmar, China and Laos in the late 13th century. Temples and old style houses are living museums telling the history, external influences and unique identity of each tribe which is expressed in the architecture, household tools and textile designs. Enjoy a 6 day journey to explore the charming Thai-ness in different part of the country, people believes, amazing arts and crafts, culinary arts, local wisdom and hospitality. Chiang Mai is a land of mountains that sits on the Northern part of Thailand. In Chiang Mai, tourists can expect varieties of activities from a relaxing Thai massage to the exhausting but rewarding trekking on the mountain trails. The province is packed with exotic culture along the mountain hill, wildlife and great food. 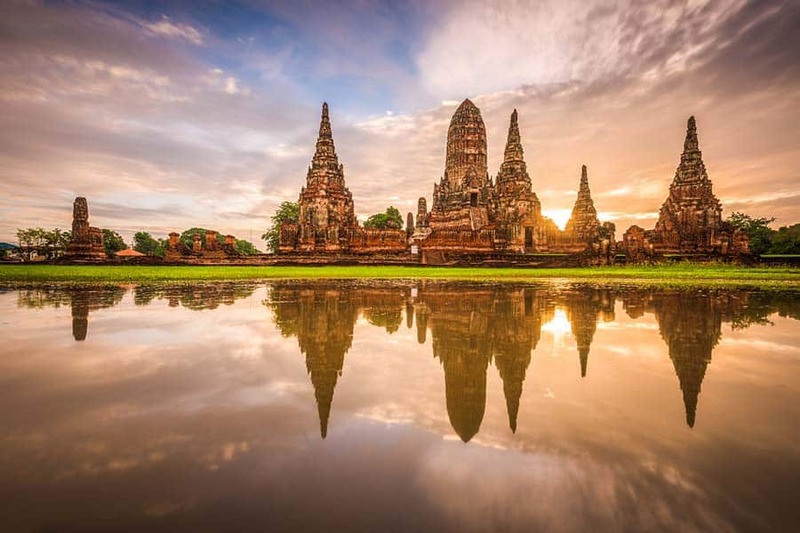 Ayutthaya is the most accessible World’s Heritage Site, not far away from Bankok. Tourists will enjoy the great history of the ruins of this great city which was once a prosperous international trading port in the Siam Kingdom. After breakfast a short visit to Wat Mahatat to pay homage to the famous Buddha Image, Phra Buddha Chinaraj before proceeding to Sukhothai. The historic town founded in the 13th century, literally means “Dawn of Happiness”. It was the first truly independent Thai Kingdom, which enjoyed a golden age under King Ramkamhaeng, credited with the creating of Thai alphabets. 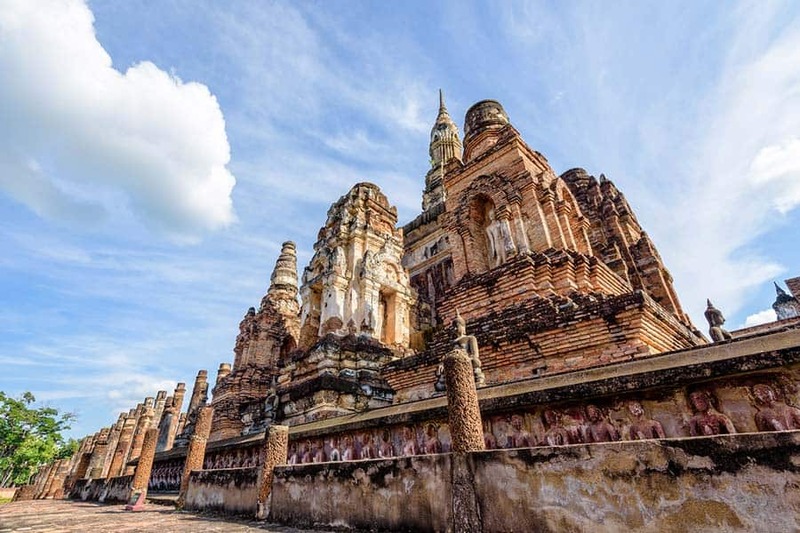 The superb temples and monuments of this great city have been restored in Sukhothai Historical Park, a UNESCO World Heritage Site and a must-see for all travelers. Continue to Sisatchanalai to visit Sathorn Golden Textile Museum, a private collection of Tai-Puan’s ancient textile weaving using gold threads. Tai-Puan tribe migrated from Xiang Kwang in Laos since the reign of King Rama III. Then drive to Phrae province. Towards the end of the 19th century Phrae was one of the centers for the Thai teak logging business. Explore Khum Chaoluang, built by the last ruler of Phrae in 1892 A.D. The residence is harmoniously mixed with European style by Gingerbread texture. It won the Conservation Award in 1993 by the Associations of Siamese Architects under Royal Patronage and Outstanding Award for Conserved Building in 2007. End up the day with a visit to a Buddhist meditation center where guests can see a sacred golden rock and learn about Buddhist teachings. Then continue to Tung Hong community, being famous for natural dye blue textile using Assam indigo called Mauhom. Enjoy creative activity here to create your own batik handkerchief in blue color to take home as a souvenir a shopping. Overnight in Phrae at Phoomthai Garden Hotel/ Superior Room or similar. After breakfast drive to Payao. On the way visit a handicraft village producing bamboo products including hand woven baskets and coops. Enjoy a guided village walk to see the people’s way of life. Continue to Chiang Kam to visit communities of Tai Lue, whose ancestors migrated from Yunnan in the South of China. The history of Tai Lue is displayed in beautiful paintings at Wat Phrathat Sob Waen where we will start our village tour which includes a visit to Tai Lue traditional house to see unique cotton weaving with natural dye colors and Nantaram Temple built by a Burmese merchant to pay homage to Lord Buddha. Drive to Chiang Rai. Visit the lively local fresh market of Chiang Rai where local street food, seasonal fruits and vegetable are offered. Late evening guests can also enjoy the night bazaar of Chiang Rai offering colorful handicrafts and art items. Early morning visit the famous white temple Wat Rong Khun and the morning market of Chiang Rai. Drive along the scenic mountainous route via Wiang Papao to Chiang Mai. On the way stop at a hot spring. The program in Chiang Mai includes visit to handicraft village in Sankampaeng district which is famous for umbrella making, silk weaving, woodcarving, silverware, ceramic, lacquer ware, umbrellas located along the village road. Late afternoon drive uphill to visit Wat Phra That Doi Suthep, the most famous and respected temple in Chiang Mai built in 1383. The mountaintop temple, whose golden pagoda houses holy Buddha relics, locates 15 Kilometres from town and is 3,520 feet above sea level. It is one of the most beautiful Lanna style temple and the perfect place to get a bird eye view of the city. Overnight in Chiang Mai at Lotus Pang Suan Kaew/Superior Room or similar. Early morning drive to Lampang. Visit Thai Elephant Conservation Center, established 1992 to conserve and protect Thai domestic elephants. Here elephants were trained for logging works in the olden days. Today the center provides edutainment for elephant lovers to see their working ability and painting talents as well as medical treatments for sick and wounded elephants around the country. Then visit Gad Gong Ta, the old merchant street of Lampang and the UNESCO Merit Award temple “Wat Pong Sanook” before continuing the journey to Kampaengphet. Upon arrival visit to local market of Kampaengphet. Overnight in Kampaengphet at Chakangrao Riverview Hotel /Superior Room or similar. After breakfast visit a local home factory producing amulets which are believed for protection from dangers and black magic. See how the amulets are made and traded. 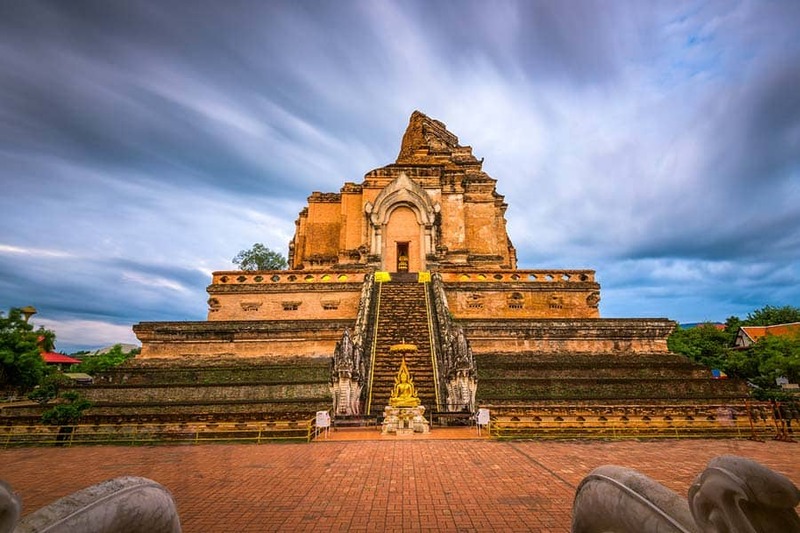 Then proceed to Lopburi, one of the several provinces in central Thailand where many significant historical artifacts and prehistoric settlements have been discovered. Visit San Phra Kan or Kala temple, the Hindu shrine, located a guardian house in which various Buddha and Hindu images are enshrined. The tour ends with a visit to Ayutthaya, the UNESCO’S World Heritage ancient city. Ayutthaya was a former and by far longest time active capital of Siamese Kingdom that existed from 1350 to 1767. Then drive to Bang Pa-In district to visit the unique temple Wat Niwet Thammaprawat, an amazing Buddhist temple built in Gothic-style cathedral in 1878 by King Rama V.